It was a bright sunny morning of January 08, 2017, in Burro Rehri. Muneeb ur Rehman, the youngest of 16 siblings and a grade 3 student, woke up with memories of a beautiful dream. Not knowing what the day will bring for him, he had breakfast and went out to play cricket with his friends. While playing outside an old house, Muneeb got injured as the wall fell on him. His eldest brother, Zameer, rushed him to the Civil Hospital, Sukkur where he was treated for a minor wound. The General Physician recommended that the wound will heal itself. After couple of weeks when the doctor removed his dressing, the wound instead of healing had been badly infected by gangrene. Zameer took his brother to Jinnah Hospital, Karachi where Muneeb’s infected leg was surgically removed. Young Muneeb was left with his life stranded on a wheel chair, but his brother Zameer did not lose hope. Adamant to get his brother back to life, he started looking for hospitals who could bring his little sibling back to his feet. 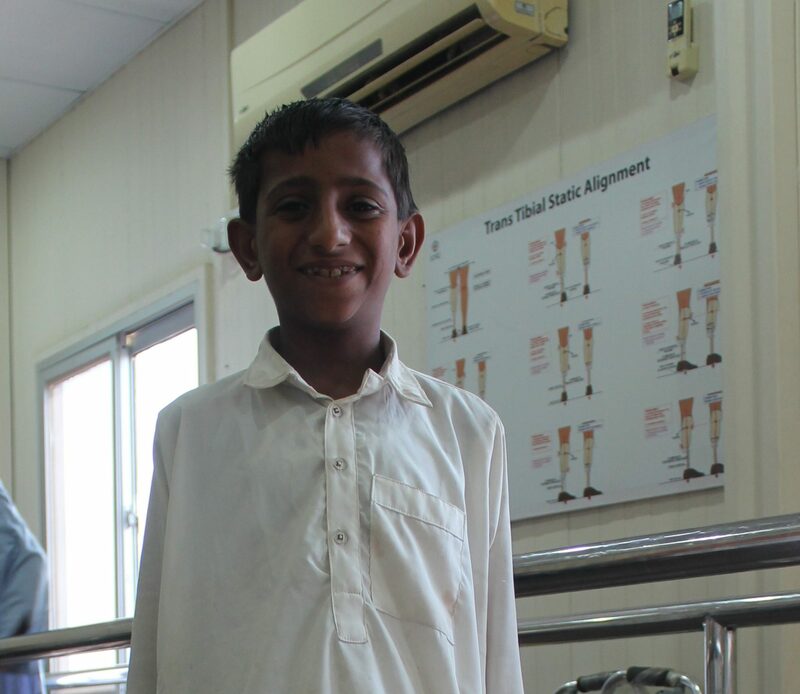 Eight months of trauma finally ended when Zameer brought Muneeb to The Indus Hospital in August 2017 and in just 10 days Muneeb was provided with a prosthetic limb. After some physical training, Muneeb is back to his normal life and has resumed education.